In it’s pioneer days Buffalo was a Village without natural advantages or economic prospects. Then a harbor was built and it became the key-stone upon which the Village grew to greatness, becoming a City in 1832, and one of the largest ports in the world 75 years later. The building of that harbor by Samuel Wilkeson and a small group of citizens, is a story of heroic vision and sacrifice unmatched in the later annals of the city. This is the first in a several part series telling that story. 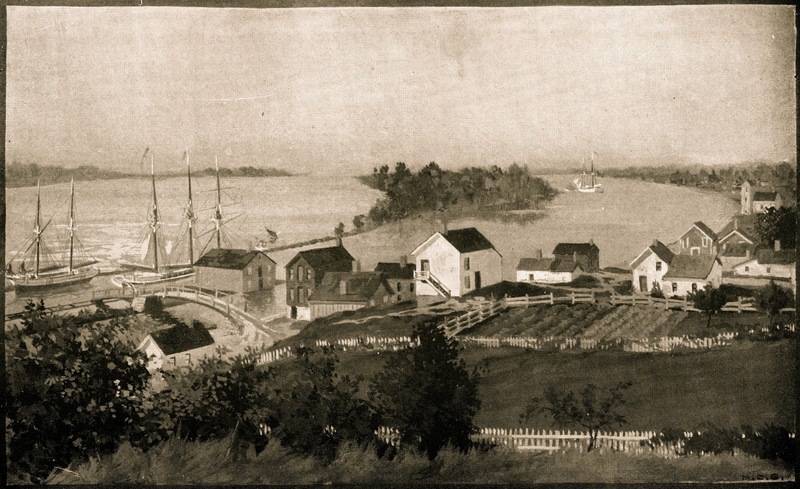 The war which had swept over the Niagara frontier, had impoverished the inhabitants of the little place that has since grown into the City of the Lakes. Their property had been destroyed—they were embarrassed by debts contracted in rebuilding their houses which had been burned by the enemy; they were without capital to prosecute to advantage mechanical or mercantile employments; without a harbor, or any means of participating in the lake trade, and were suffering, with the country at large, all the evils of a de-ranged currency. 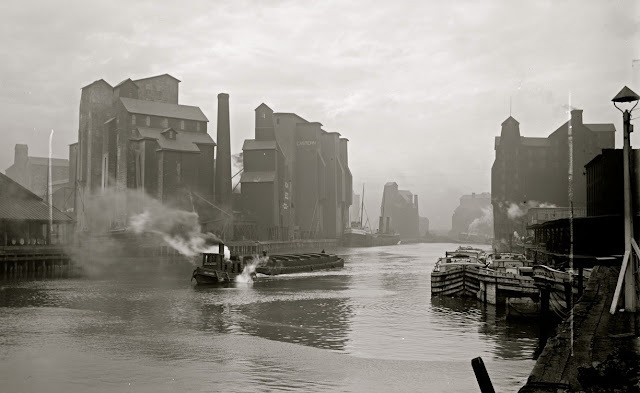 In the midst of these accumulated embarrassments, the construction of the Erie Canal was begun, and promised help. However distant might be the time of its completion, Buffalo was to be its terminating point, and when the canal was completed, our village would become a city. But no craft larger than a canoe could enter Buffalo Creek. All forwarding business was done at Black Rock, and the three or four small vessels that were owned in Buffalo, received and discharged their cargoes at that place. Sailing vessels at the time, unless of very light draft, had to lie a half a mile or more off port, or drop down below the Black Rock Rapids to find anchorage. A harbor was then indispensably necessary at the terminus of the canal and unless one could be constructed at Buffalo before the western section of the canal was located, it might terminate at Black Rock. This was the more to be apprehended, as an opinion prevailed, that harbors could not be made on the lakes, at the mouths of the rivers. But a harbor we were resolved to have. The great project upon which the Village of Buffalo was staking its future had lain dormant for years. The delay was costly. With each passing day the initial upsurge of enthusiasm for the project had receded a little more. Times were hard. Buffalo was impoverished. The grim hand of economic misfortune laid itself with cold finality upon the zeal for civic improvement. One by one, seven of the nine men who had signed a petition for a $12,000 loan from the State to build the harbor, withdrew their support. All that had been done in Buffalo in the seven years since the British had put the village to the torch had accomplished little more than sheer survival. The rebuilding had been carried on steadily, but it was a grueling process and required much sacrifice. The British had been thorough. When they departed, there remained standing in the black and smoldering ruins only two stone buildings, a blacksmith shop, the jail and a frame dwelling owned by Mrs. St. John. Two years later as many buildings as had been destroyed were rebuilt. Now, in 1820, there even were a few new structures. Sam Wilkeson had built a fine house. Charles Townsend and George Coit had built a store in which they were running a drug business and, at the same time, were venturing into shipping affairs. Others who had arrived since the first villagers straggled back to survey the embers of their homes and properties also were adding to the reconstruction. But, for the most part, the village struggled merely to stay on its feet. It was little wonder, then, despite the first great wave of enthusiasm, that seven of the nine men had withdrawn as sponsors for the $12,000 loan. The money was intended to finance the building of a harbor in Buffalo. 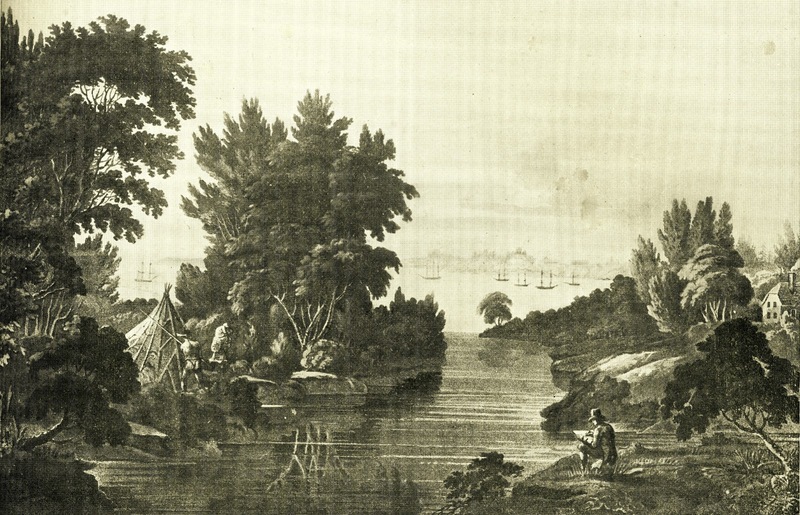 If the harbor could he built, there was a strong possibility De Witt Clinton and the Erie Canal commissioners could be persuaded to make Buffalo the Western terminus of the canal. Otherwise, The Village of Black Rock, three miles distant, aggressive, more prosperous, with more natural advantages than Buffalo, was destined to secure the great prize. If it did, Buffalo would never be more than a frontier village, a tiny settlement which the mainstream of history had bypassed! These were the stakes and they were tremendous. But there was doubt that the project ever could be executed. Tough-minded men in the State Legislature had laid down stern conditions for the loan. It was to run for 12 years and was to be secured by twice its amount in personal pledges of money or property. If the harbor was not built, the security was forfeit. If the work was carried to successful completion, the State could accept or reject it. Should the harbor be rejected, no reimbursement was to be made. The builders could recompense themselves by charging tolls for the use of the port. It was a take-it-or-leave-it proposition. Buffalo took it. With nine men behind the loan it seemed a simple matter to raise the $24,000 security. But with seven withdrawn, the whole project was a lost dream. Still, a few did not give up. 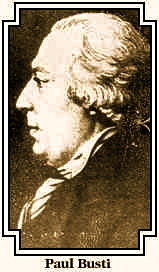 Charles Townsend remained stead-fast and so did Oliver Forward. But their resources were too slim to make up the $24,000 mortgage. A third party was needed. Someone with the same bold vision, the same spirit or daring, the same tenacity of purpose. There was only one man in the village to whom they could turn. Sam Wilkeson. 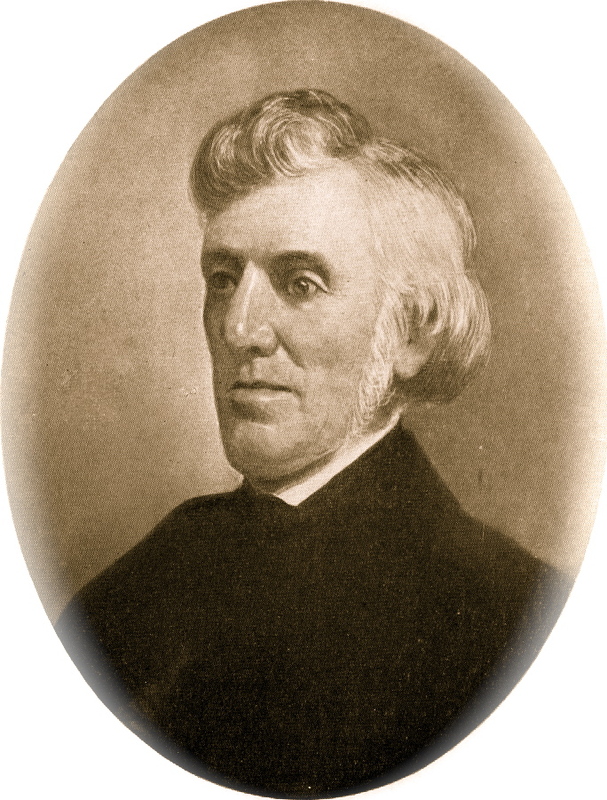 Wilkeson had not been among the original nine sponsors for the loan but he understood the need for harbor development. He agreed to help back the loan. With each of the three men pledging $8,000 in personal property as security, the loan was secured. That had been a year ago and still nothing had been done. Just having the money did not solve the problem. And with each passing day their risk grew greater. Black Rock was lobbying vigorously for the canal and seemed almost a certain winner. In Buffalo itself there was doubt and opposition. So eminent a Villager as Joseph Ellicott was against them. He brusquely refused to lend the only pile driver in the area for the work. The three harbor builders were not only without a plan and men to execute it, but without even the most necessary tools. Ellicott's refusal to co-operate hurt. They decided to go over his head. 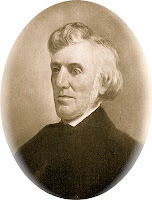 Together with George Coit, Towsend’s partner, the three men wrote to Paul Busti, general agent of the Holland Land Co., asking his support for the work. The letter came directly to the point. Since the loan had been granted the year before, a great deal of political manipulation had taken place and the entire problem of where the canal was to be located was still open to question. The four men were frank. They admitted under present circumstances it seemed more reasonable to suppose the canal would terminate at Tonawanda Creek, not Buffalo Creek. If it did, the harbor planned at Buffalo would be useless to the state and to the men who built it "as the business of the place would be removed to the vicinity of Grand island." But, the four men continued, not withstanding all this they intended to proceed with their plan for the building of a pier if the Holland Land Co. would back them. And would Mr. Busti, please, tell Joe Ellicott to stop guarding the pile driver as if it were made of gold and allow them to borrow it so they could get on with the work. It was a month later, in May, 1820, that Busti replied from Philadelphia. He was polite but uncooperative. 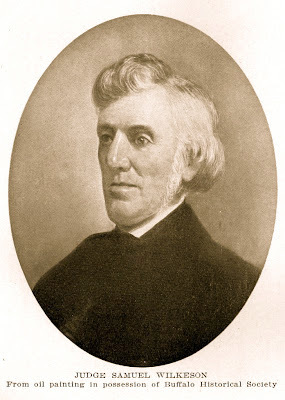 He could not place the Holland Land Co. behind their scheme, he wrote, because experience had shown that public works carried out by private individuals or companies did not have the same assurance of being completed as those undertaken by the Federal or State Government. He even turned them down on the pile driver, claiming he had no authority over it, "Mr. Ellicott is the master to do with the pile driver as he sees fit," Busti said. But, he added, "I believe him to be too reasonable as to deny you the use of it on suitable terms." So that was that, and they were on their own, Joe Ellicott glowered when they approached him again on the pile driver, he was not so reasonable a man as Busti assumed. He would not, lend it and he would not rent it. They decided to build their own pile driver. The rigging was not too hard to construct, but they had no hammer. Finally, a good substitute found. Wilkeson located an old Army mortar which had been used in the war but which had lost one of its trunnions. They broke off the other trunnion and bored two holes in the end of the mortar, a staple by which to hoist it. It worked excellently and had a driving weight of 2,000 pound. The machinery to lift the hammer was simple and cheap. A blind horse was attached to a line and raised the hammer simply by walking in a circle. Now they had both the money and the pile driver. There was only one way to find out what could be accomplished with both. That was to get on with the job. A construction superintendent who boasted of harbor building experience was brought to Buffalo at $50 per month. His start was an expensive one. Flint stone for piers was purchased at $5 per cord. Four hundred hemlock piles, 20 to 26 feet long, were ordered at a cost of 31 cents each. Within a few week's, $1,000 of the precious $12,000 was spent and still no actual construction was under way. At this rate, it was easy to see the loan would never carry the project through. Again something had to he done. Wilkeson, Townsend and Forward did it. They fired the superintendent and decided to carry on the work themselves. But Townsend was ill, almost an invalid. Forward knew nothing of harbor work. Neither did Wilkeson. Yet it was Wilkeson to whom the others turned. It was an all or nothing gamble and they knew it. Their personal fortunes and the ultimate destiny of the village they believed in was at stake. But Wilkeson had a business which consumed all his time. He had a family. He could not afford to ignore either. 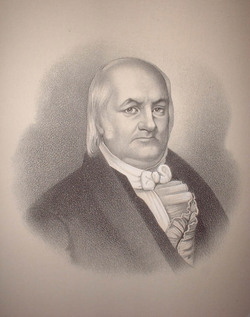 Wilkeson had never seen a harbor, and was engaged in business that required his un-remitted attention. But rather than the effort should be abandoned, he finally consented to undertake the superintendence. Thus it was that the morning after his final talk with Townsend and Forward, Sam Wilkeson appeared at the site of the proposed harbor at daybreak to mark out a spot for the erection of a shanty on the beach between the creek and the lake so that the men who would work on the harbor project would not have to leave the site. He hired a few laborers, gave the necessary orders for lumber, cooking utensils and provisions. The boarding house and sleeping room were completed that same day. Without suitable tools, without boats, teams or scows, and neither the plan of the work, nor it's precise location settled, THE HARBOR WORK WAS COMMENCED. We're planning to rebuild the city virtually as one of the Steampunk Worlds in our franchise. Loosely, of course-but directly inspired by canal era Buffalo.